Digital backs for old film bodies has been a dream for a lot of people who want to resurrect their favourite cameras of yesteryear. There have been a lot of promises and a lot of hype for various products over the years, too. One project who seems to actually be doing it, though, is I’m Back. It’s been an interesting journey for I’m Back, and you can see how that journey has progressed from 2016’s initial idea to now on their website. But it’s the now that’s interesting. I’m Back digital backs are currently in production and will be exhibiting at Photokina 2018. I’m Back works a little differently to the way many expected a digital back for film cameras to work. Instead of directly replacing the film plane with a sensor, it is a 35mm adapter, of sorts. The lens projects onto a focusing screen, and then a sensor records what’s on the focusing screen. The specs are the same as we reported back in 2017 when the project launched on Kickstarter. 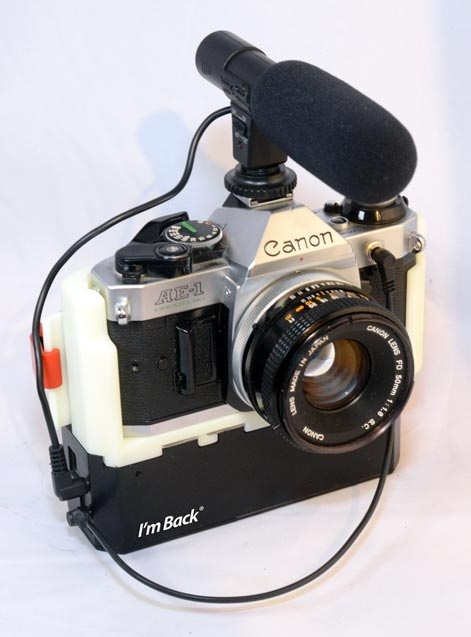 But with production now started, I’m Back has released a list of cameras for which backs will be available. I love the idea of the I’m Back digital back. It reminds me a lot of the old Kodak/Nikon collaborations, like the old DCS 400 series. That is to say, they’re kinda big and bulky and not very practical. But I bet they’re a cool fun toy to play with it. If you’re heading to Photokina next week and want to check them out in person, you can find them in Hall 5.1, B003. If you can’t make it to Photokina but want to find out more, head on over to the I’m Back website. Believe it or not, it is cheaper than a full frame sensor. How to reach the viewfinder, when that mirror box is obstructing the way?? By the way, where can I get one if I wanted to? Following the rabbit hole takes me to the fundraiser page that is now closed. Hi! I realised for Diana F and Diana mini…. but why, to keep old cameras? my old ones are on display of my ‘good old days’. there’s a huge supply of digital cameras. my old nikon f and its lenses are not as sharp as new cameras.